The contents of the red box unveil the opening scene for this episode. Gangster Geum Tae-Woong, Baek Joon-Soo and the Prosecutors Office, and now Sa Do-Chan all want this item. When Ha Ra sees the empty box, she naturally assumes Do-Chan pulled a switch and made off with the real box. Meanwhile, as Do-Chan opens the real red box, he cockily repeats, "I told you that Korean prosecutors are so blind by their desire for success and have no desire to catch con men like us." Ha Ra races off to catch Do-Chan, swearing, hyperventilating in her car, and right hand fanning her face. "Darn. I won't forgive you once I catch you." But as the two empty boxes show, Nam Seung-Tae remains in possession of the item. Nevertheless, thinking they have outwitted the prosecutors, Do-Chan and his team, accepting the loss, casually strut through the airport terminal in a style similar to The Beatles ‘Abbey Road’ album cover. The four fraudsters are off to eat curry in the Maldives. The quick thinking Ha-Ra, nevertheless, catches them and snatches Do-Chan’s passport as he unknowingly walks past her. Shocked by her sudden appearance, Do-Chan's eyes widen and he coughs to hide his surprise. Again the two verbally spar, but when Ha-Ra says they'll talk outside and leaves, Do-Chan rhetorically asks "Why are there so many people who want to talk to me?" A few minutes later, Do-Chan curiously asks Ha Ra how she found him. She says that when she confiscated his phone, she put a tracker in it. When he retorts that what she did was illegal, she confidently replies, "When I had to deal with such a cheeky con artist like you, shouldn't I prepare this much at least?" She, then, tells Do-Chan to hurry and give the item to her. Furrowing his brows, he mockingly explains, however much she may not believe it, when he opened the real box "there was nothing". Of course, she doesn't believe him. 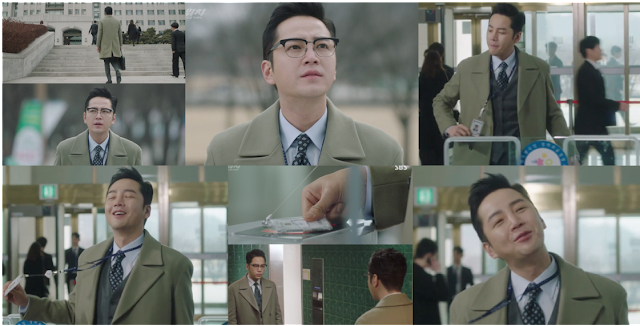 Meanwhile in his office, Jo Sung-Doo meets with Geum Tae-Woong. On pleading knees, Sung-Doo confesses that he lost some of the company’s money through gambling, thanks to prosecutor Baek Joon-Soo. Geum obviously disconcerted that Joon-Soo lives, looks at his front man, Manager Kim. Kim shows Sung-Doo a photo. It is the same Baek Joon-Soo. Manager Kim, then, explains that when the crime scene investigators were retrieving the car, the car door was open, but no one inside. He assumed that Baek Joon-Soo had drowned and was at the bottom of the ocean. Back at the Prosecutors Office, Do-Chan’s team is behind bars while Ha-Ra interrogates Do-Chan. She searches through his suitcase while another officer searches his friends. Nothing. Exasperated, she asks him where he hid the item. Do-Chan replies, "I'm curious as well. What kind of person took an item worth five million dollars." She's surprised by the value and accuses him of heisting the item for its monetary value. While engaged in this banter, Do-Chan’s phone rings. Nam Seung-Tae's call is put on speaker. Sounding confident, Nam tells them he still has the item, but he needs money to disappear…$100,000. Yang Ji-Soong, Ha-Ra’s superior is beside himself…how to come up with that amount of money within a week! Then he has an idea: make use of the Department’s Special Project Fund. In a flash back, Geum Tae-Woong orders Nam Seung-Tae captured and brought to his office for scrutinizing. 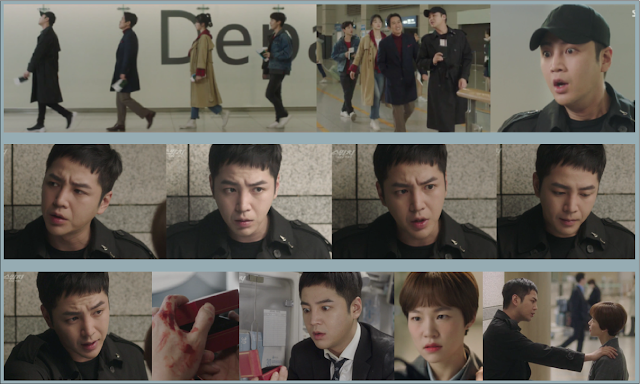 After numerous beatings, Nam hands over the item, a flash disc containing a video of a warehouse, and pleads with Geum not to kill Baek Joon-Soo whom Nam called at Kim's rather physical insistance. Still not trusting Do-Chan, Ha-Ra refuses to release his friends from jail, unless Do-Chan co-operates. He finally agrees, so long as the conditions change: his friends must be released first. Unaware of his legal education and thinking that Do-Chan is being rather arrogant, Ha-Ra scoffs at his suggestion. Yet, Do-Chan has the upper hand! If Ha-Ra arrests him for impersonating a civil servant, she will be implicated as his accomplish. A crime that could mean her imprisonment. Not willing to ruin her career, they make a deal. Sa Do-Chan will assume the role of Prosecutor Baek Joon-Soo and his friends will be released from jail. Looking very refreshed, Ha-Ra enters Sa Do-Chan’s home to find him fast asleep on the pile of papers he had been reading. Barely able to lift his head up from the table, let alone open his eyes, Oh Ha-Ra reflects on her decision. She does not need to worry. While ascertaining how much Do-Chan knows of Baek Joon-Soo, she is surprised as to how rapidly he mastered and comprehended all the information on Baek Joon-Soo's career. As his genius of a brain wakes up and gets in gear, he rattles off everything about Baek Joon-Soo. 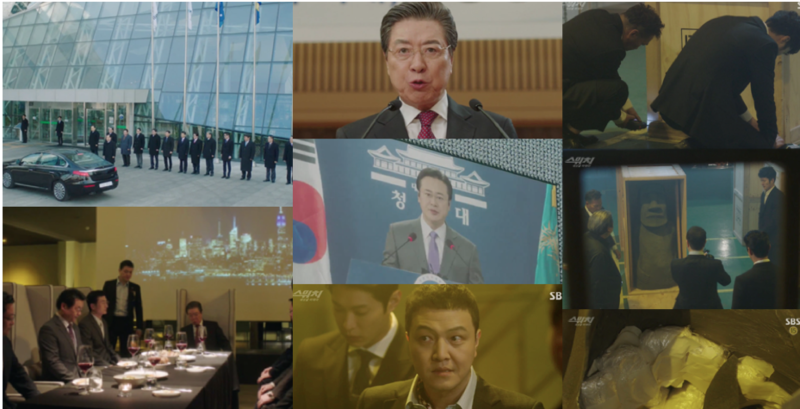 Where he graduated, who his closest friends in college were, his rank when he passed the bar exam, his work colleagues, and, most importantly, who to avoid -- in particular his mentor, Woo Jae-Shik, who just happens to be Chief Prosecutor of Internal Affairs. On his first day as Prosecutor Baek Joon-Soo, Do-Chan reflects on what his life would have been had he continued in law. Once inside, the conman within rejoices in the fact that he can pull this switch off. Strutting his way through the foyer he shows off his ID badge, ensuring people know he is a ‘Geom chal’, a prosecutor. Do-Chan fails to realize, though, that the original Baek Joon-Soo’s demeanor is somewhat prudish, not this over elated doofus! Restraining himself while walking through the entrance scanner proves too much for him. The satisfaction of hearing the ‘beep’ as he passes his ID card over the scanner is pure and utter bliss. He just has to hear it again...and again. However, on the third try, Prosecutor Oh Ha-Ra walks up beside him. As she scans her own ID, she glances across at Do-Chan, mortified at his behavior. Quickly pulling him into the stairwell, she angrily tells him that he must behave like Baek Joon-Soo. He needs to lower his voice, speak slowly and look serious. He also needs to dress like Joon-Soo. Pointing to his tie, she says Joon-Soo always wears Double Windsor knot, demanding that he go fix it and wear his glasses. Sa Do-Chan has his work cut out for him, more than he realizes. Shaking his head, he walks into the men’s room, grumbling, “Geez, I worked hard to get to work this morning and she’s nagging me about my tie. I mean…who’s going to recognize this?” After retying his tie, putting on his glasses, and assuming a grim pose, he makes his way through a throng of assistants and police to Baek Joon-Soo’s office. While being introduced his co-workers, he discovers he met one of them outside on the plaza, mistaking him for a criminal. Recovering, he jokingly responds, “I saw you earlier and was wondering where I saw you. I thought I saw you as a suspect.” As Do-Chan turns it all into a joke, Ha-Ra again sees the doofus side of him. Everyone in the room looks dumbfounded, while Ha-Ra and Yang grimace. Later, Ha-Ra and Do-Chan meet on the roof where he grumpily asks Ha-Ra how he was supposed to know all the legal lingo. She responds that she didn’t think that far, but he remains frustrated as she hurries him off to what turns out to be a very abbreviated lunch. Elsewhere at the Association of Korean Industries building, Choi Jung-Pil, a man of high political influence and the former prime minister, recommends at a meeting of company executives that to survive this changing world, they must let go of the past by being more transparent. However, on his way to have dinner with various CEOs, he sees a televised program that causes him to angrily frown. The Blue House is announcing a special law to eradicate the underground economy that is full of corruption, particularly gambling and drug smuggling. At the dinner, Geum Tae-Woong greets Choi. Choi tells the CEOs that when the time is right, he will kick out the current president of South Korea and they again will run the country their way. Back at the Prosecutors' Department, night has fallen. Ha-Ra and Do-Chan are working hard to finish their paperwork. Rather Ha-Ra works; Do-Chan plays Mine Sweeper. Tired, Ha-Ra falls asleep on her desk. As she drowsily awakens to the sound of paper being turned, she sees Do-Chan. Mistaking him for Joon-Soo, she whispers “sunbae” and goes back to enjoying watching him with sleepy eyes. Do-Chan looks at her, slowly smiles, smile turning into a smirk and over-exaggerated raised eyebrows. A sudden, rude awakening for Ha-Ra! She discovers while she slept, Do-Chan completed all the paperwork. Ha-Ra self-righteously states, “How dare con man touch these sacred investigation documents." But, in actual fact, she discovers his work is correct. Again, she appears struck by his knowledge. Mistaking the conversation as seriously inappropriate behavior “at a sacred workplace”, So-Ra throws the door open to find her sister and Do-Chan quickly moving away from each other. During the night, Geum and his men meet at the warehouse shown on the disc, originally in the red box. Being the director of an art gallery, what better way to smuggle drugs than hide them within fake artifacts. The next morning at the Prosecutors' Department, a guest arrives to see Baek Joon-Soo. At first Do-Chan does not immediately recognize the name, Woo Jae Shik. Then, panic sets in! Thank you si s sies. Is nice to refresh all the scenes with your recap and we can find many details that we can forget. I enjoy it a lot.